A country has monetary policy autonomy if its central bank has the freedom to make changes to the country's money supply, therefore allowing to use that tool to impact the country's economy. This occurs when a country has a floating or flexible exchange rate, meaning its value relative to other currencies is determined by supply and demand factors. An autonomous monetary policy benefits a country by allowing it conduct the transactions and enact the policies necessary to meet specified economic goals. For example, the Federal Reserve can and has reduced the federal funds rate -- which impacts the amount charged for overnight interbank loans -- to nearly zero percent in the hopes of spurring lending and business investment. It also buys and sells U.S. Treasury Securities in an effort to manage interest rates. If the economy shows signs of overheating and inflation rises, a rise in interest rates can put on the brakes by reducing the purchasing power of money and causing consumers to pull back on their spending. For a monetary policy to be truly autonomous, the central bank should have some degree of independence from the government. In the case of the Federal Reserve, members of the Board of Governors are political appointees -- but have staggered 14-year terms that stretch out over multiple presidential administrations. 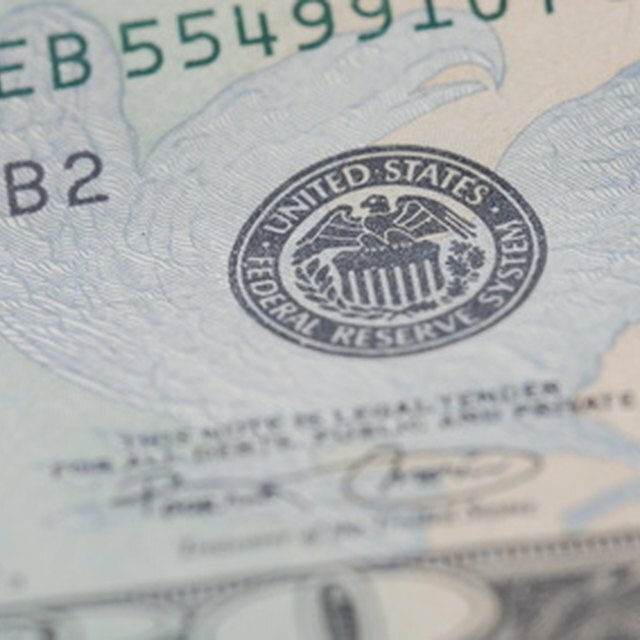 This is designed to keep the Fed focused on long-term goals, rather than short-term measures that could ultimately prove suboptimal for the economy but increase a particular candidate or party's political fortunes. In contrary to an autonomous monetary policy, fixed rate limits what a country can do with its monetary policy, because the constraints cedes control to the pegged currency or precious metal. For example, the gold standard, in which paper money was backed by the government's promise to redeem the notes for gold upon request, was widely abandoned during the Great Depression because it prohibited countries from increasing their money supply in an attempt to jump-start the economy. Franklin Roosevelt, for example, took the United States off the gold standard in 1933 to increase the money supply. What Determines the Value of Currency? What Is Foreign Exchange Exposure? However, fixed rates can benefit countries with a sketchy economic history by giving investors confidence that the currency will remain stable. Fixed rates, or semi-fixed rates in which a currency is permitted to float only within a certain range, also can help achieve a country's political objectives. China, for example, has been accused of keeping its currency valued artificially low on the exchange markets in order to boost its exports, which become cheaper to overseas consumers as a result. As with most autonomous functions, the control that autonomous monetary provides is the ability to enact policies harmful to the economy, whether that's the result of prioritizing short-term over long-term goals, focusing so intently on the future that the current state of the economy is ignored, or enacting well-meaning strategies that turn out to exacerbate rather than solve problems. Often, it's not clear the effects that monetary policy will have, meaning there's substantial disagreement on whether a particular tactic ultimately will be beneficial or harmful. For example, the Federal Reserve responded to the housing market meltdown beginning in 2008-09 by investing in mortgage-backed securities at the rate of $40 billion per month over a period of years. This is widely-credited with stabilizing the housing sector and preventing the glut of toxic assets on the market. Critics, however, note that the toxic assets were merely transferred to the Fed's balance sheet, and will be watching to see if the short-term benefits are outweighed by any long-term negative effects.